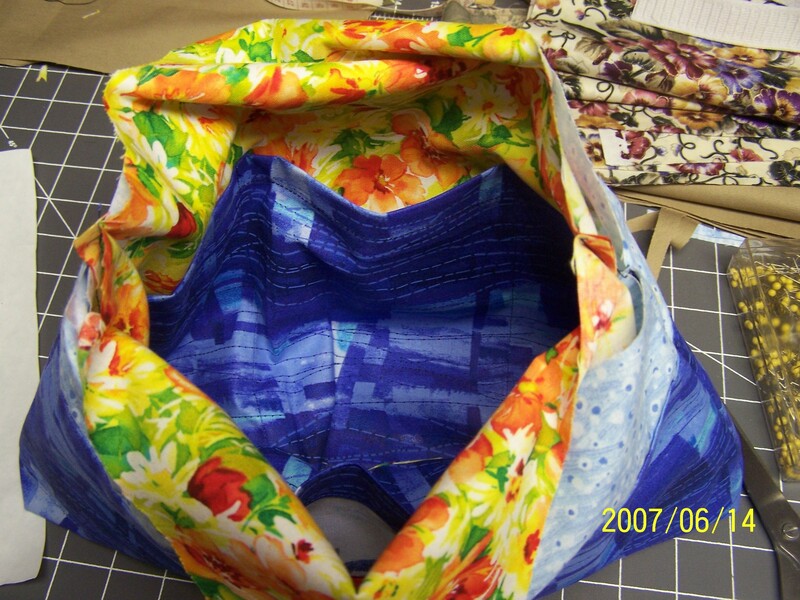 Posted on June 14, 2007	by Linda S.
Remember when I blogged about wanting to make one of these… posted by tiny happy. Well, yesterday was the day. Now if I could just learn to follow instructions, all would be well..lol I guess because I had read and re-read the instructions a half dozen times I thought I didn’t need to read them again…HA! Anyway, I put six pockets on the inside…love that part. 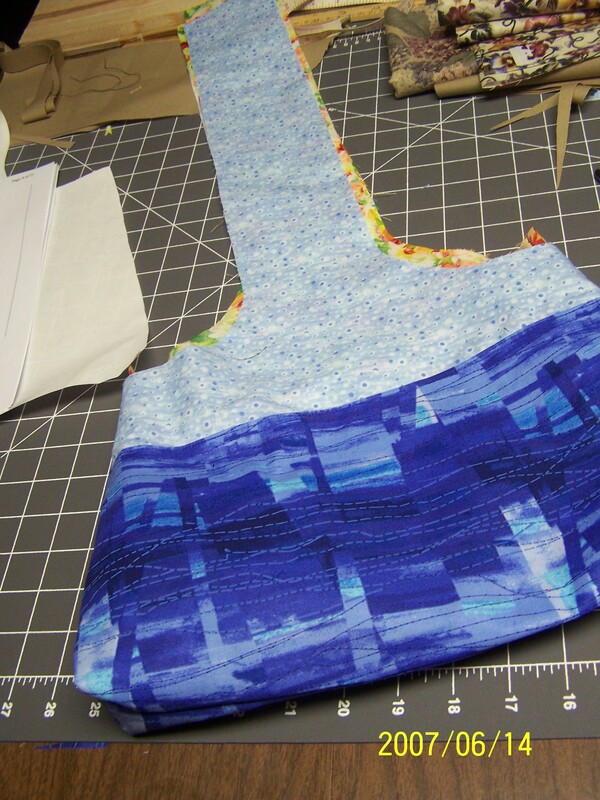 The bad thing is that I put the corners of the purse in the front…very wrong. So today I am debating the pros and cons of finishing this one or just starting over and making a new one. I had plans for embroidery on the lovely blue… maybe a little ribbon embroidery and some beads… We’ll see. Take a look at this pattern… it really is lovely. Not sure what the problem is, you boxed the corners on the bottom in the middle of the front and back instead of at the sides below where the strap goes? I need to post a short tutorial on making pockets that are not flat tight against their background. Basically I do this by cutting the top of the pocket wider than the bottom and sewing it as if the side edges are square instead of slanting outward–this makes the pocket pooch out a bit at the top so that it actually holds things that have any width.